PALMER — Backers of a new residential women's substance-abuse treatment center near Palmer say it will reduce crime in the Valley, despite some neighbors' fears to the contrary. The 16-bed facility operated by faith-based nonprofit Set Free Alaska will be open to women, including pregnant women or women with young children. Set Free, which is certified by the Alaska Department of Health and Social Services, has operated an outpatient center closer to Wasilla for seven years. The new facility — Valley Oaks — is scheduled to open in September at a site formerly occupied by the Fronteras Charter School on Bogard Road. It's funded with a three-year, $1 million state grant. 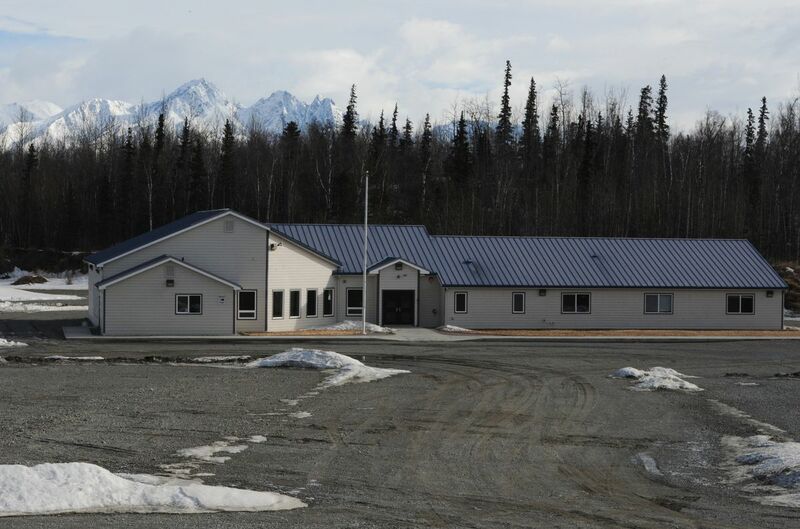 Mat-Su has both a drug problem and years of related break-ins and thefts, but no state-certified residential treatment for female addicts with families who are ready to get clean but want to stay near their children. A contingent of Valley Oaks supporters and concerned neighbors turned up at a Mat-Su Assembly meeting Tuesday night to weigh in. Most voiced support, including several addicts in recovery like Shannon Harris, a mother of five children who said she would be dead and her family broken had she not gotten into residential treatment while pregnant, albeit a few hundred miles from the Valley. "I'm not a bad person," Harris said. "I needed help." But Dan Lewis and a few other facility neighbors say they felt blindsided by the center, which they view as a potential public-safety threat they are only just now hearing about. Lewis, a fishing guide who lives behind the center's location, asked for more time to get information and hash out concerns. He said residents have found needles in the streets and worried about the downsides of treatment centers that he's researched online. He also wondered where children of mothers in treatment would play — there aren't any playgrounds nearby — or walk along busy, two-lane Bogard Road. Lewis said locals got a notice last year that the church that owned the property was considering subdividing it. "Two weeks ago, I hear about this on a local chat room," he said. "There was no outreach to the neighborhood at all." Alvah Clark Buswell, who lives next to the facility, said he's afraid of lower property values and safety concerns, not from clients but from the people they're leaving behind. "They're on the run from violent and abusive people," Buswell said. "My backyard might be a great staging point for those people." Set Free director Philip Licht said he came to Tuesday's Assembly meeting to address concerns about the center, which he said will provide a community solution to a community problem. "The sad part to me about this opposition is the very fears and concerns these people have are exactly what this program is intended to relieve," Licht said. Set Free approached the North Lakes Community Council starting in December to provide people in neighborhoods near the proposed center with information, seek feedback and listen to concerns, he said. A public meeting in January included discussion about the center and the council voted in February to support it. The facility will feature 24-hour supervision with no one admitted — whether client or guest — without prior approval, Licht said. Given community statistics, the facility will have fewer drug and alcohol concerns than the homes around it, he said. Mat-Su planners have told Set Free the facility doesn't need a borough permit because no zoning laws apply. Assembly members at the close of Tuesday's meeting expressed support and said they don't have a regulatory role in its operation. Wasilla representative Steve Colligan said he's known the people behind Set Free Alaska longer than he's sat on the Assembly. "I feel for the neighbors but it is private property," Colligan said, before describing his familiarity with the nonprofit. "I can't imagine it would ever be a problem. It's not a government-funded meth lab sleepover center. It's an organization where a person makes a commitment to be there for themselves and the safety of their children."